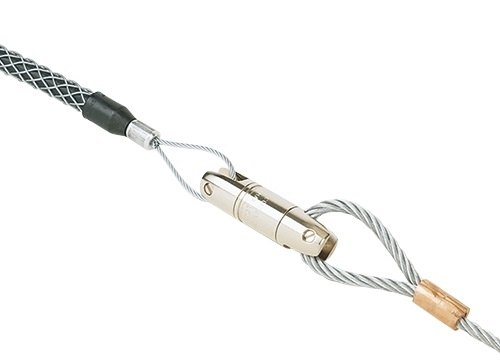 Designed specifically for underground and overhead cable pulling applications. Can handle all types of utility cables. Precision machined from high-strength stainless steel. Clevis pin is easily replaceable (see ordering information below). CAUTION: 808 Champion Swivels are to be used for cable stringing or pulling only. 808 Champion Swivels are not to be used for directional drilling. NOTE: Swivels are not designed to run around bullwheels. Always verify that the swivel size is sized to the pulling harness or grip prior to ordering.